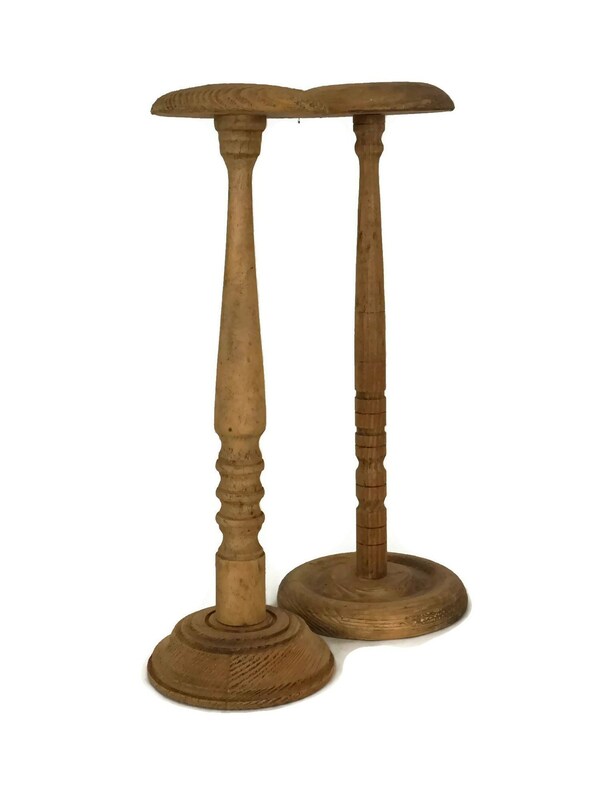 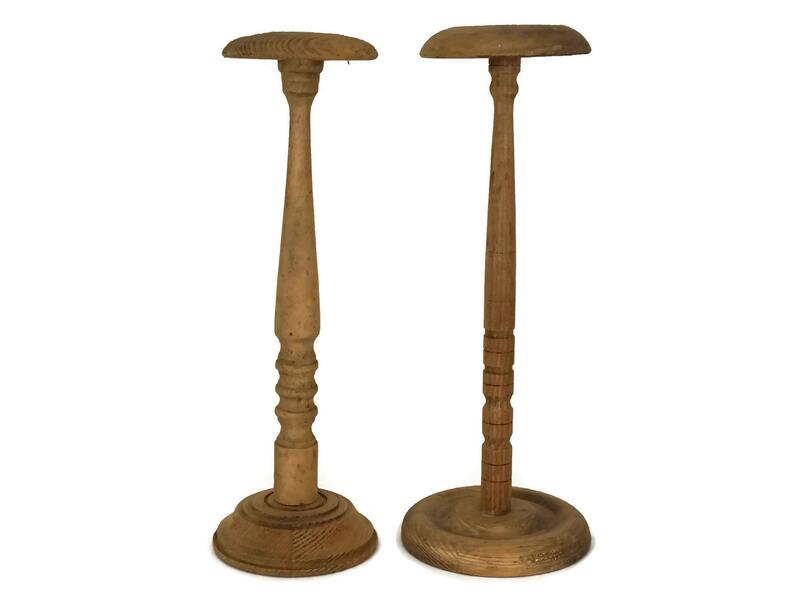 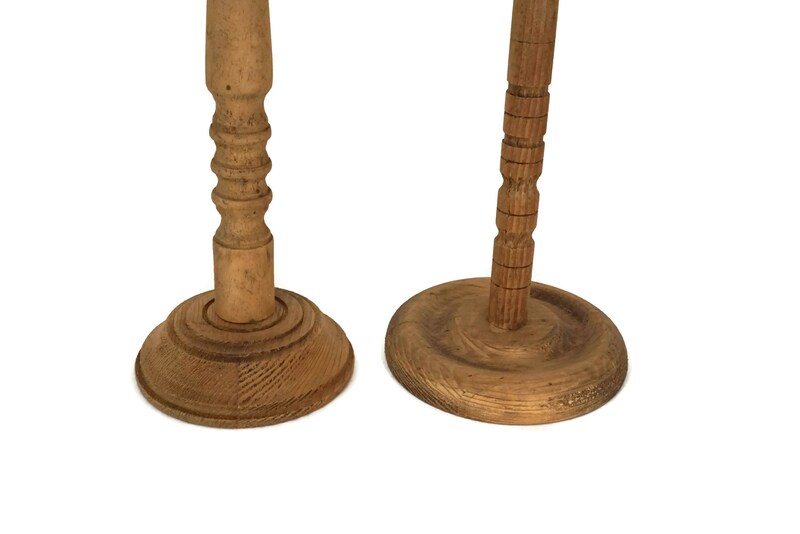 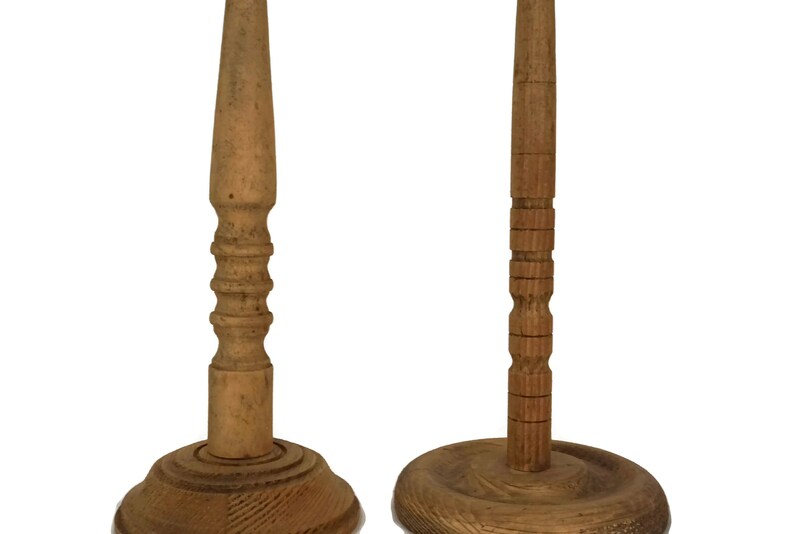 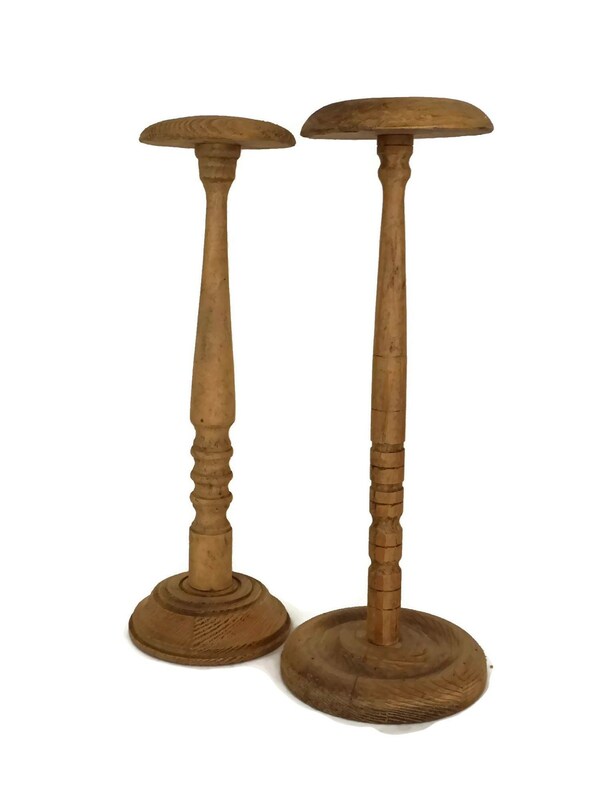 A pair of French vintage wooden hat stands made from turned wood and full of classic charm. 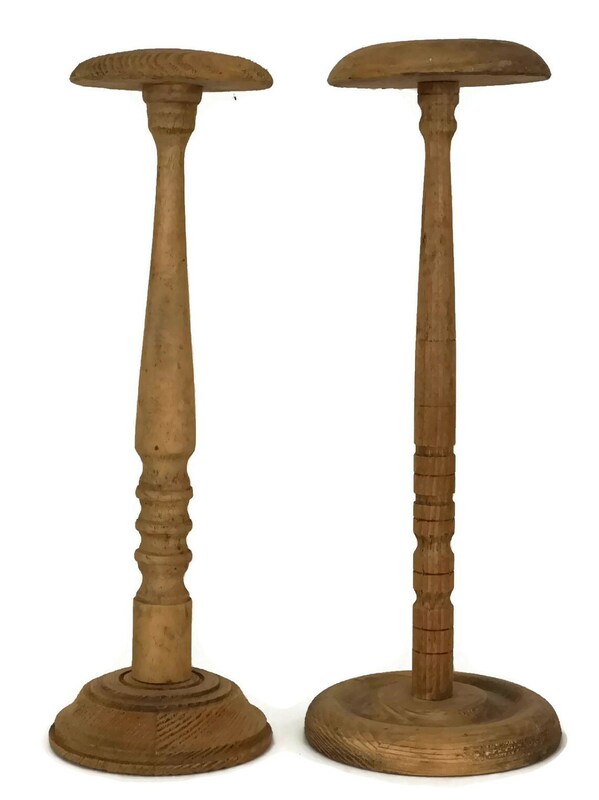 The hat displays have been finely crafted from wood with an elegant form and are certain to make a charming decorative display. 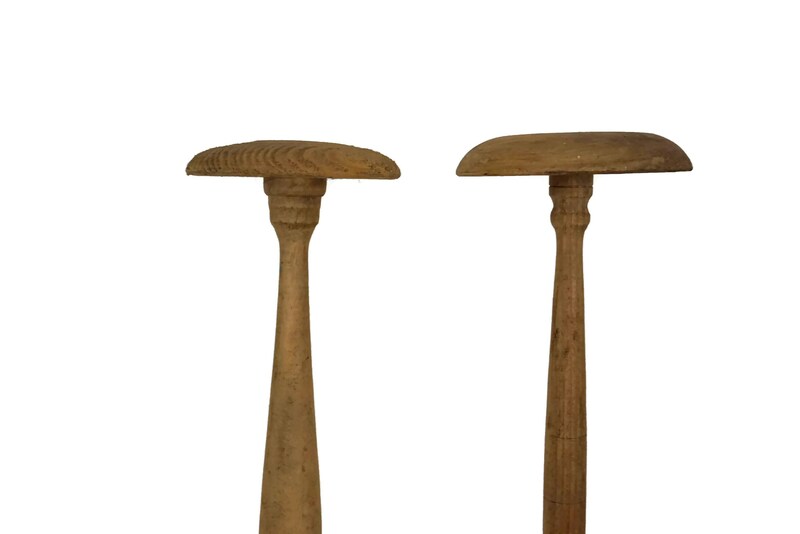 (37,5 cm x 11,5 cm). 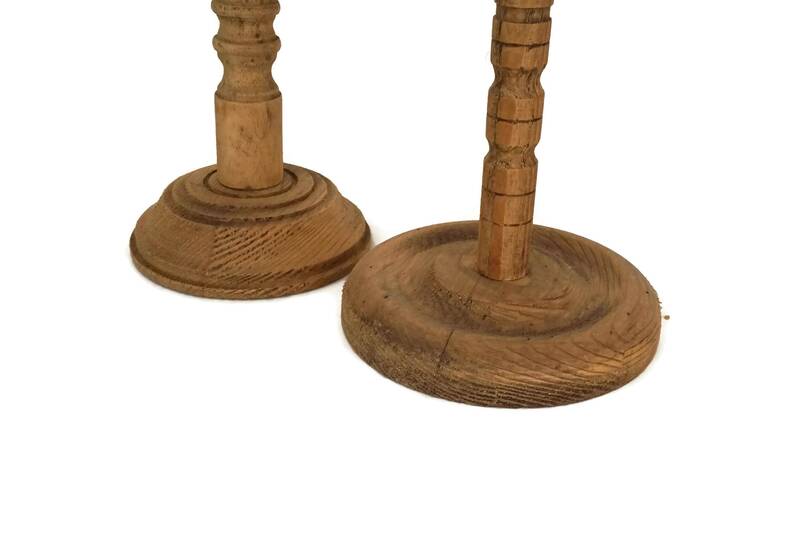 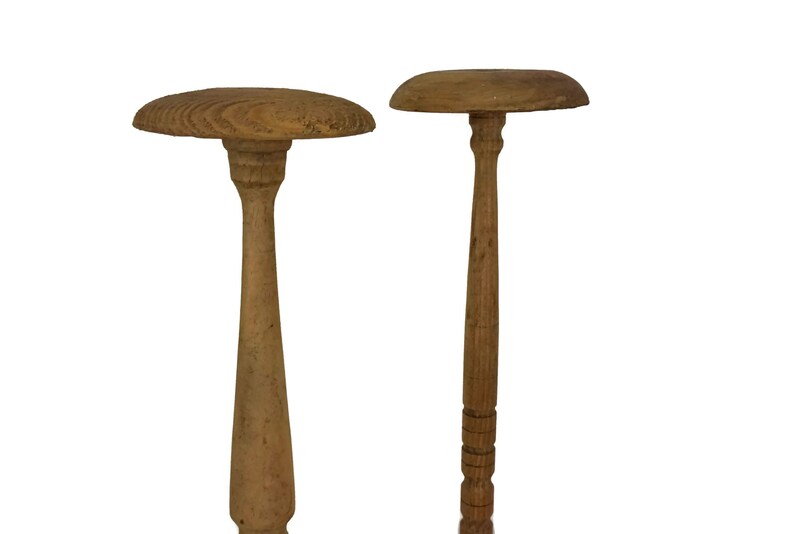 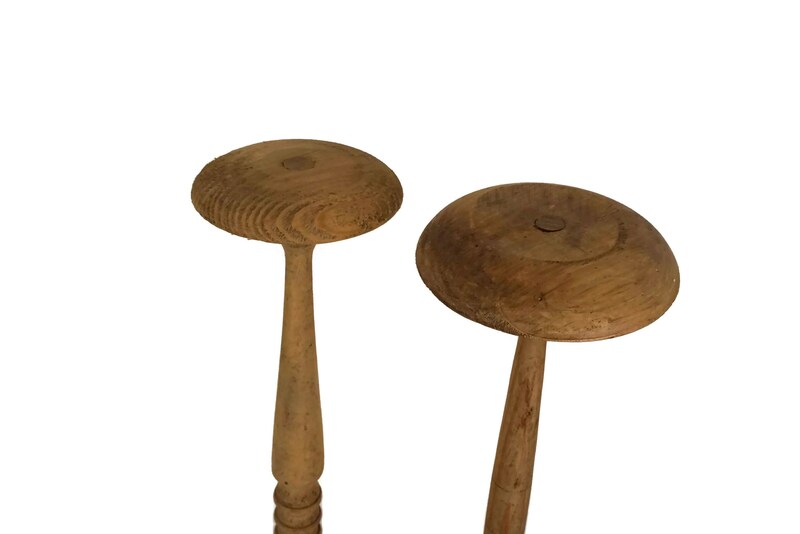 The French hat stands are in very good condition with light wear and surface marks in places.